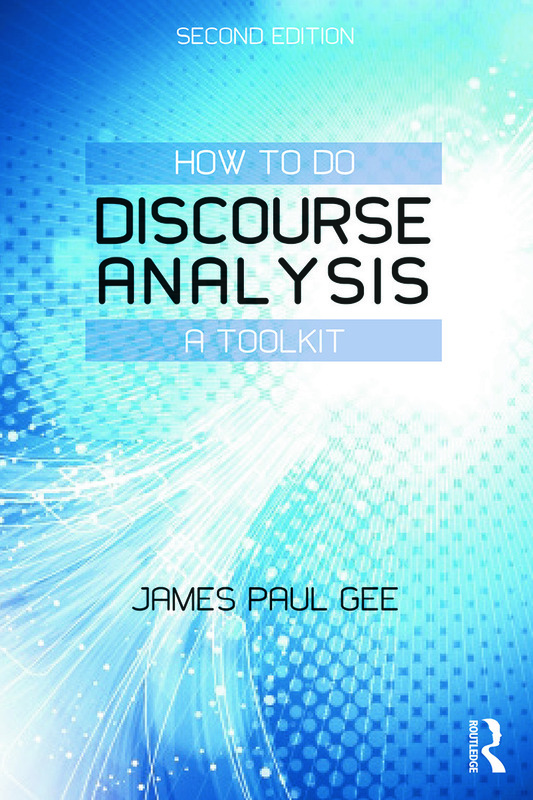 This bestselling textbook is the ideal companion to An Introduction to Discourse Analysis: Theory and Method, by leading author, James Paul Gee. Using a practical how-to approach, Gee provides the tools necessary to work with discourse analysis, with engaging step-by-step tasks featured throughout the book. Each tool is clearly explained, along with guidance on how to use it, and authentic data is provided for readers to practice using the tools. Readers from all fields will gain both a practical and theoretical background in how to do discourse analysis and knowledge of discourse analysis as a distinctive research methodology. Updated throughout, this second edition also includes a new tool- ‘The Big C Conversation Tool’. A new companion website www.routledge.com/cw/gee features a frequently asked questions section, additional tasks to support understanding, a glossary and free access to journal articles by James Paul Gee. How to do Discourse Analysis: A Toolkit is an essential book for advanced undergraduate and postgraduate students working in the areas of applied linguistics, education, psychology, anthropology and communication. James Paul Gee is Mary Lou Fulton Presidential Professor of Literacy Studies at Arizona State University, USA. He is author of a number of books, including An Introduction to Discourse Analysis, fourth edition, Language and Learning in the Digital Age and is co-editor of The Routledge Handbook of Discourse Analysis.